You are here: Home / Resources / Marketing / Should Businesses Get Into Pinterest? Should Businesses Get Into Pinterest? 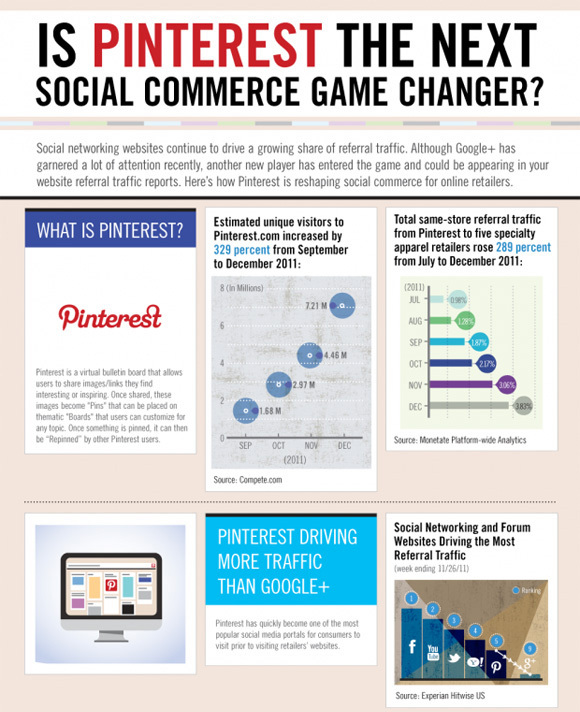 Pinterest is the social network with the fastest growth rate. Ever. It’s s bulletin board allowing users to “pin” images and videos that they like – and due to the visual appeal of the “pinboards” it’s got an insanely high engagement rate. So naturally, businesses are trying to figure out how to put this phenomenon to good use, i.e. for building and extending their own brand. 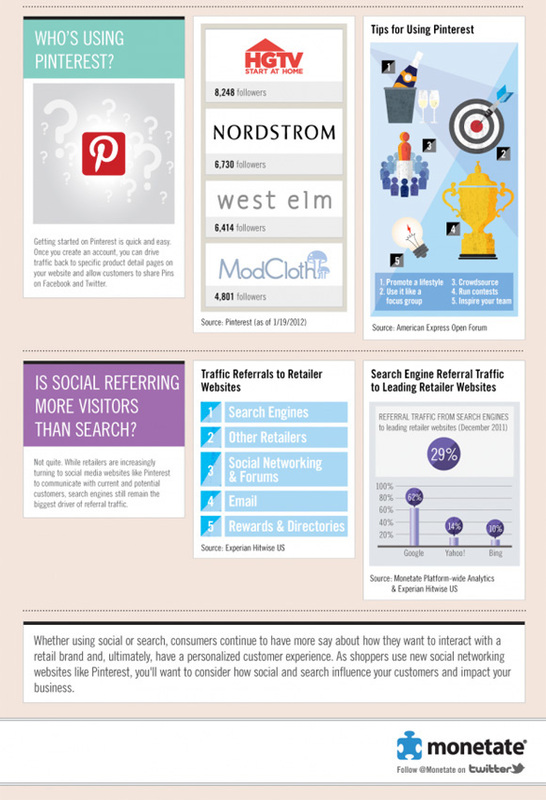 Read for my take after the infographics courtesy of Monetate..
Should Your Business Start With Pinterest? architecture, interior design, wedding themed, sports, home improvement/DIY accessories, pets, travel. Mashable has an excellent cheatsheet on how your business could use Pinterest.